» Columbia Omni Heat Alpine Action Jacket Review (2019 UPDATE): Is This the Coat You’ll Love? Columbia Omni Heat Alpine Action Jacket Review (2019 UPDATE): Is This the Coat You’ll Love? Columbia is a well-known brand of both casual and athletic apparel. The brand originated in Portland, OR and has been around for 70+ years. 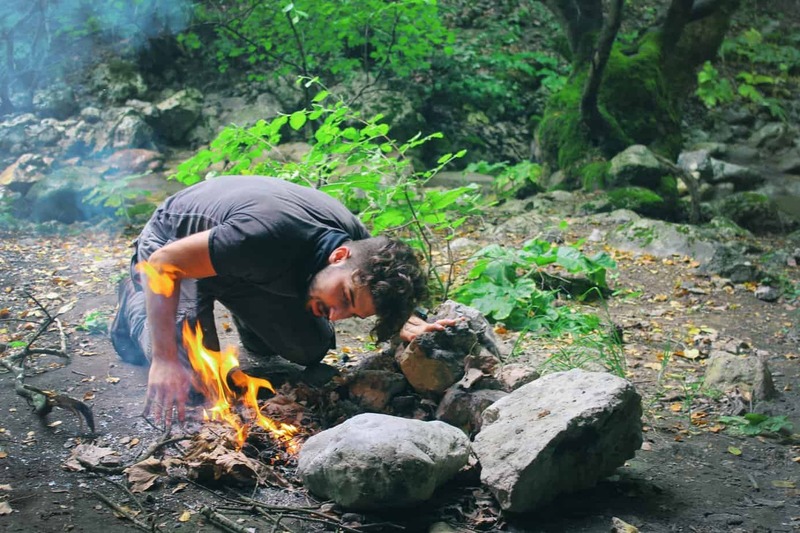 Their primary focus is creating gear for outdoor enthusiasts like insulated winter jackets in the Pacific Northwest, though their popularity has spread globally now. The Pacific Northwest often brings cold temperatures and wet weather, making Columbia a trusted source of gear for outdoor winter activities. As the brand developed, so did their technology. One example of this technology is Omni Heat and Omni Tech. Both have changed the way Columbia can make their jackets more weatherproof and warmer than ever before. This technology is no in various types of gear, from gloves to winter boots but remains most common in outerwear. The Final Word: Is the Alpine Action Worth it? A snow jacket seems to be a pretty basic piece of apparel for hiking in cold weather with the sole purpose of providing warmth, but Columbia doesn’t believe so. The Alpine Action jacket with Omni Heat is anything but basic and truly performs like a piece of sports gear to keep you warm and dry. Here is a rundown of all the basics you need to know about this insulated jacket. The Alpine Action is loaded with a lot of cool little features that make this jacket stand apart from the competition. 1. 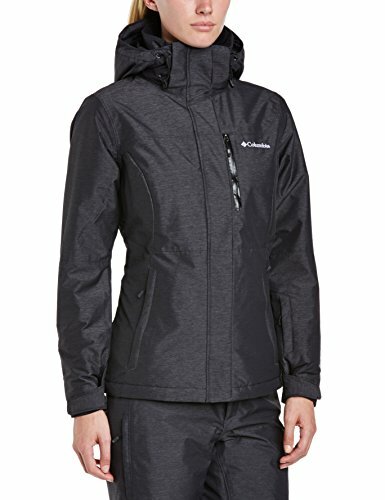 How can I wash a Columbia Omni heat jacket? If you are using a washing machine, make sure to close all the zippers and flaps, and brush off any loose dirt or grime. Then, turn your garment inside out if possible. Wash in a front load washing machine in cold water on a gentle cycle. 2. 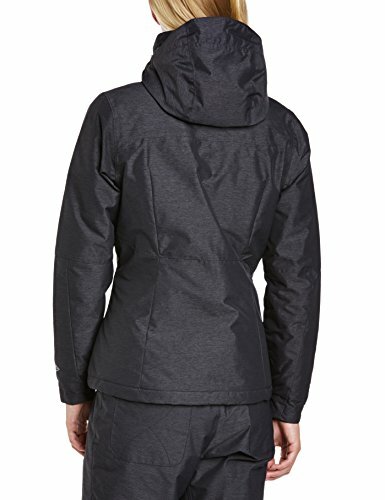 Do the Omni Heat Alpine Action pockets have the same material as the outside of the Jacket? The inside of the pockets has a soft fabric, very pleasant to the touch. Inside the jacket, you will find one large inside mesh pocket and a small upper pocket that is on the backside of the other upper chest area pocket (good for phone, wallet). 3. 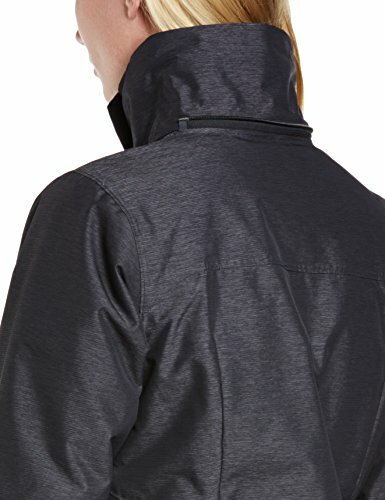 Is this coat good for running or is it too heavy? The Omni Heat Alpine Action Jacket can be a little bulky and even tho is a light jacket, can be too heavy for sport such as running or jogging. It will fit better for sports such as skiing. You’ll find review after review boasting about the warmth and overall quality of this jacket. Here are just three of the major reasons why it is a Columbia fan favorite. As you could tell in the features list, the Omni Heat Alpine Action has an unusually high amount of different pockets. Most jackets tend to have hand pockets and maybe a chest pocket and that’s it. Well, Columbia loaded this jacket with 6 different pockets for maximum gear storage. The main pockets are both zippered, with one located on the left breast with a vertical zipper and two normal hand pockets. The zippers are a superb touch since the last thing you want to do while traipsing through the snow is drop something. Inside the jacket you will also find an interior security pocket for storing a wallet, phone, ID, etc. This will be completely protected from the elements which is important for these sensitive accessories. The two unique pockets are a media pocket that offers some moisture protection and a goggle pocket. The media pocket is ideal for keeping your device secure while listening to music. If you are someone that enjoy this you’ll really get a lot of use out of this pockets. The goggle pocket is in place since this jacket is designed more as a snow sports jacket than a casual piece. Skier and snowboarders will really appreciate having this separate pocket to place fragile eye protection without worrying about it getting scratched or falling out. The Omni Heat technology is truly astounding. Inside the jacket you’ll see that the lining is black with a large amount of tiny metallic dots. This layer makes up 30% of the heat retaining lining of the Alpine Action. The rest of the lining is a highly breathable fabric to ensure maximum comfort and minimal body heat loss. Staying dry is important in remaining warm after all. It also helps with reducing heat if you find yourself in warmer weather. It truly is amazing how well Omni Heat works. While warmth really comes down to your own body, it’s safe to say that this jacket is plenty warm for majority of US winter conditions. Some men find that a base longsleeve t-shirt is all they need under this jacket for snow sports in moderate cold temps. Women may require more layering due to being naturally more sensitive to cold. Don’t be surprised if you end up being too warm in this jacket because the Omni Heat technology sometimes works too well in warm winter conditions. Another aspect of this Omni technology is Omni Tech. The outside of the Alpine Action is completely waterproof and can even handle falls in wet snow without a problem. A drawcord on the hem and cuff tabs offer additional protection against snow getting into the jacket. While it isn’t designed for seriously windy conditions, you’ll be warm in all but the very harshest winds. The Alpine Action is a great example of a fairly lightweight yet super warm and weather-resistant winter jacket. It looks great, especially in the darker color shades, and fits the body well. It offers enough space to layer under it without looking excessively boxy. The classic fit won’t get in the way of your arms or ski poles while maneuvering either. A huge majority of reviews for the Alpine Action jacket are overwhelmingly positive but there is one very small issue some have found for the men’s sizing of this model. Typically you would want to size up for a winter jacket to accommodate layering underneath but it seems Columbia took the initiative to do this themselves. The Alpine Action jacket tends to run close to a full size larger than you would expect. Even if you plan on heavily layering under this piece, try a size smaller than you normally would just in case. With how warm this jacket is, you’d be surprised at how little layering you will need anyways. As an example, a man with average proportions that typically wears a large would be better off with a medium. A medium would still give enough room under to wear a base layer and a fleece over that. Columbia jackets are often considered to be a cheaper alternative to big name brands like The North Face or Arc’teryx but this just isn’t true. While they may be more budget-friendly, Columbia makes some excellent outdoor apparel that is just as comfortable, warm and long-lasting as its competition. The Alpine Action is just one example of how Columbia combines excellent materials, design and technology like Omni Heat in one very impressive jacket. Columbia Direct: Sometimes it’s better to go direct. In this case I generally agree. Columbia’s customer service and warranty / returns directly another layer of security. For Men’s Version: Check this Listing. For Women’s Version: Check this listing. Amazon: Amazon can be hit or miss, but in this case tends to have a reliable inventory. REI: REI Co-op is almost always worth checking. While they might not always have the best price, they do have some of the deepest off-season deals around. Plus, if you are a member you can unlock additional savings. For the Men’s Version: Check this listing. For the Women’s Version: Check this listing.